Limited, the creators of “Chhota Bheem” announced the release of the next big screen adventure featuring Bheem and friends – “Chhota Bheem – Kung Fu Dhamaka”. Packed with fun, adventure and excitement this movie will be the first feature film featuring “Chhota Bheem” which has been conceptualized and shot in Stereoscopic 3D. 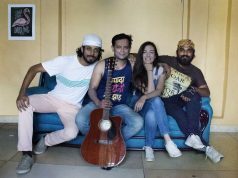 The movie is set to be released across India on 10 May, 2019. Yash Raj Films have partnered with Green Gold Animation for the release of the movie across the country. 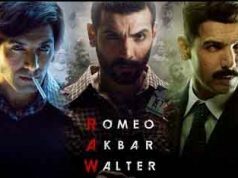 This will mark the third collaboration of Yash Raj Films and Green Gold Animation. Rohan Malhotra, Vice President – Distribution of Yash Raj Films said, “We are proud of our association with Green Gold Animation and Chhota Bheem is the most popular Indian animation character among kids today. We are thrilled and excited about this 3D extravaganza and we are planning to give ‘Chhota Bheem: Kung Fu Dhamaka’ the widest ever release for an animation film across India”. 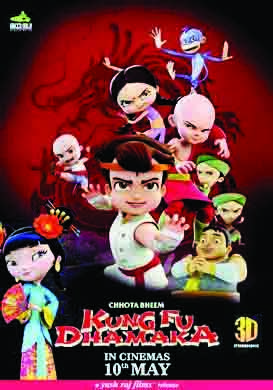 The film is set in China and this time “Chhota Bheem” and his friends set on an adventure in the Land of the Dragon, to participate in the biggest Kungfu competition of the world. The competition is disrupted midway when, Chhota Bheem is called on to help save the princess and protect China and its people from the evil nemesis Zuhu. Directed by Rajiv Chilaka, produced by Green Gold Animation and distributed by Yash Raj Films, ‘Chhota Bheem Kungfu Dhamaka’ is all set for an release on 10 May, 2019. Green Gold Animation is a pioneer in creating original Indian animation content and has been entertaining the young generation for over a decade. The shows produced by Green Gold have been hugely popular across all leading kids TV channels like Cartoon Network, Pogo, Discovery Kids, Hungama & Disney, drawing an active viewership of over 60 million kids. The popularity of the characters like Chhota Bheem, Mighty Raju, Super Bheem created by Green Gold has transcended over the years and it has helped the company establish itself as a leading player in Licensing & Merchandising, Movie Production & Distribution, Digital Business, Retail Distribution, Gaming, Franchise Stores and Events.